Memphis Depay is close to completing his move to Lyon from Manchester United, with the Ligue 1 club's president Jean-Michel Aulas claiming a deal should be completed in 48 hours. Lyon and United have reached an agreement in principle to bring Netherlands international Depay to France. "When you see him developing, you get the impression that he really wants to show his immense talent. So we hope, as we hoped with the women's team by bringing in [US women's international] Alex Morgan, and we are not disappointed." 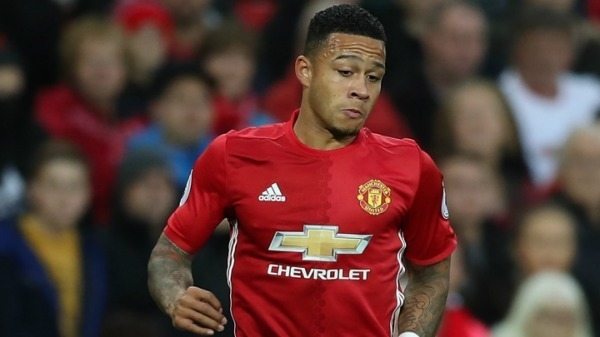 A big-money arrival from PSV in 2015-16, Depay has failed to live up to the hype at Old Trafford. Since Louis van Gaal's departure in the off-season, Depay has only played 20 minutes of Premier League action. Aulas added: "It was a dream because he corresponds exactly with the player we were looking for. In addition, he has a certain panache. "It's true that Jose Mourinho didn't play him that much, so there was an opportunity for us to negotiate with Manchester United. "This is a big operation, because I think it will be around 16.5million euros, with up to eight million in bonuses. It's a major investment.